Michael Robinson with the Center for Biological Diversity questioned whether wildlife managers should be more guarded about information related to the wolves’ locations in the wild. 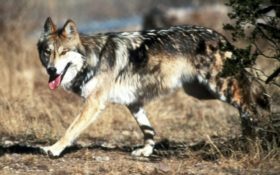 Environmentalists have long complained about telemetry receivers being loaned out to ranchers to monitor the whereabouts of collared wolves. Previous Previous post: War on Christmas: School BANS… candy canes! ?